The Portland Art Museum welcomes a dynamic, artist-led experiment that will transform the fourth floor of the Jubitz Center for Modern and Contemporary Art through December 2018. We.Construct.Marvels.Between.Monuments. is a series of five exhibitions developed in partnership with artists and art collectives that will activate the gallery with visual art, performance, screenings, and discussions. Organized by visiting artistic director Libby Werbel, the programming invites a range of emerging and established voices to ask questions about how the Museum can become more artist-centered and inclusive in its practices and become more critically engaged with a broader array of emerging and established artists in the region. We.Construct.Marvels.Between.Monuments. is a unique collaboration between the Museum’s curatorial and education departments with support provided by Sara Krajewski, Curator of Modern and Contemporary Art, Grace Kook-Anderson, Curator of Northwest Art, and Stephanie Parrish, Associate Director of Education. The programming intends to build a bridge between Portland’s independent artist-run spaces, activists, and the city’s established institution. Through this year-long program, Werbel encourages audiences to reflect on how museums historically have granted access to art and knowledge, and what the future of this institution could look like. She imagines the string of exhibitions as a sort of ‘museum alchemy.’ Each artist or collective is tasked with contributing their own ingredients to the pot, acting as a catalyst for engaging new perspectives. Artists Chris Johanson and Johanna Jackson have created an exhibition design to serve as both a physical and conceptual framework for the ongoing exhibitions and events. They will make over the white-walled gallery environment to more comfortably house the various projects by introducing sculptural furniture, a reading/seminar space, live plants, a stage, and a wayfinding mural through the Center for Modern and Contemporary Art. Public programs for We.Contsruct.Marvels.Between.Monuments. presented in partnership with c3:initiative. We.Construct.Marvels.Between.Monuments is funded in part by the Miller Meigs Endowment for Contemporary Art and the Arlene and Harold Schnitzer Endowments for Northwest Art. The first project we. 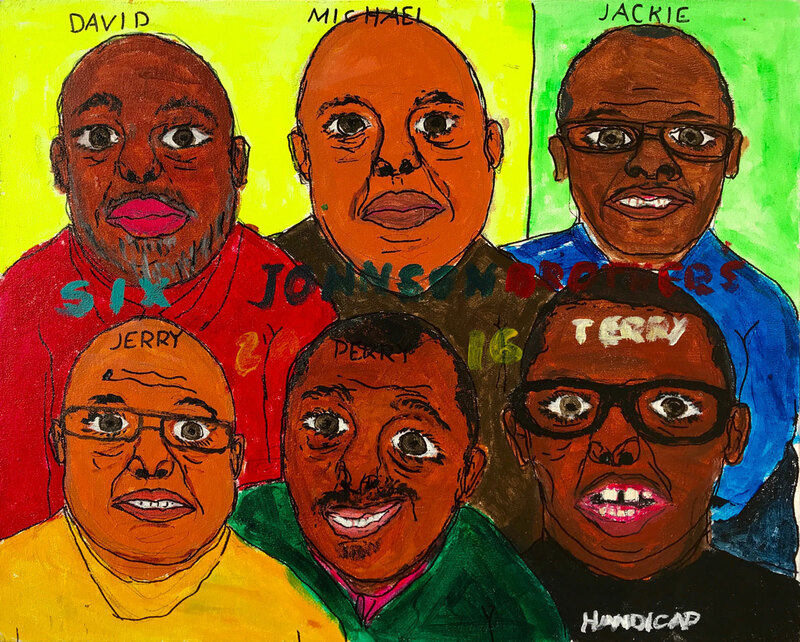 highlights works by six artists from Public Annex, Outpost 1000, OSLP, and Albertina Kerr, regional programs supporting artists with disabilities. This exhibition creates space for dialogue around how art world institutions can more thoughtfully integrate the work and the perspectives of artists of all abilities. Co-organized by Werbel and Public Annex with curatorial assistance from Sonya Hamilton, WE. has opened the process directly to the artists represented, providing opportunities for agency, self-determination, and reflection. 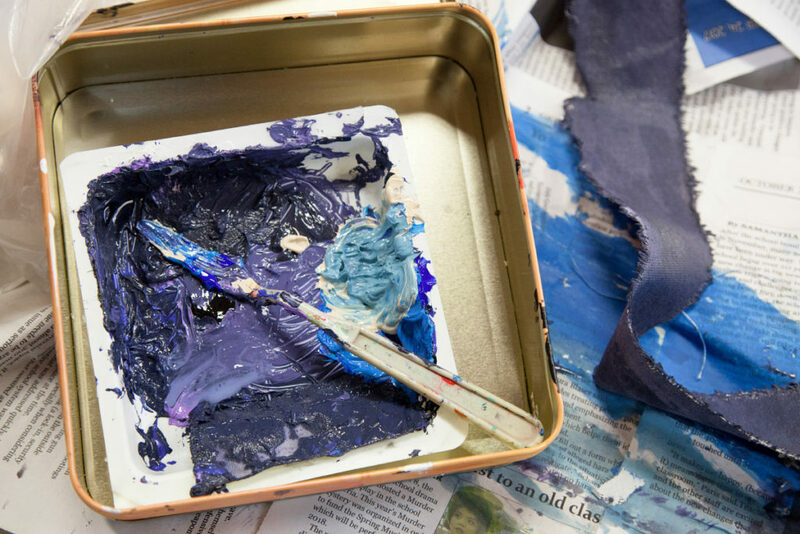 Public Annex believes the arts provide a unique access point for those with and without disability to collaborate, create, and propose different ways of doing things, steps they consider necessary towards achieving a truly integrated society. Public Annex will also lead a monthly Contemporary Trends class, free and open to the public, that will meet at Portland Art Museum each free first Thursday at 5 p.m. They will explore a different section of the Museum each time, creating a space for discovery and discussion amongst people who identify with and without disability. Perry Johnson, 2015, Six Johnson Brothers, acrylic, sharpie, on board. Co-curated by artists keyon gaskin and sidony o’neal, construct. challenges the museum’s core identity. Construction of new institutional practices is preceded by de-construction. De-construction invites other modes of entry – getting inside, going off, investigating, and allowing other values to emerge. o’neal and gaskin recognize the generative potential of conflict that arises when we engage historically oppressive, exclusionary, and revisionist institutional environments. This exhibition thus locates institutional critique in the persistence of opacity and black interiority. Commercial salon art and auntie aesthetics, alternative use of space, performance, and moments for dialogue become the substrate of an other space that holds detritus alongside desire – a critical site of generativity in a decaying world. Marvels.presents Stephanie Syjuco’s notMoMA, a work of social practice art engaging local high school students. With this work, conceptual artist Syjuco investigates how museum collections are accessed and how museums shape notions of value and originality. 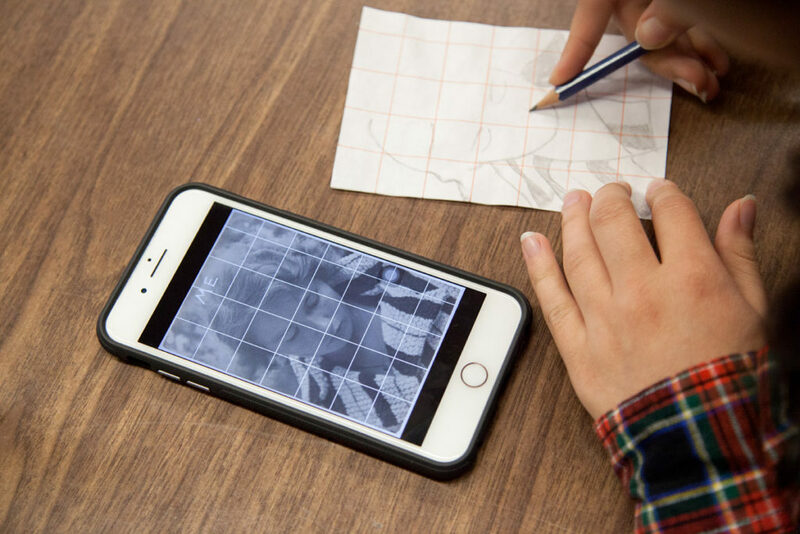 NotMoMAasks students to remake artworks from the Museum of Modern Art (New York) collection by studying them on MoMA’s website. Their task is to reproduce the work to the best of their ability with the resources available to them. With notMoMA, Syjuco questions: What happens when young art students are tasked with refabricating famous artworks—works they have never seen in person? Do the aura of famous artworks still exist when remade by others? BETWEEN. highlights artists working within the queer and trans diaspora, and the unique voices coming from between or beyond the binary. This exhibition aims to queer the curatorial process, taking into account current visibility politics and presenting the work of LGBTQIA2S+ artists in ways that challenge normative art world conventions. Chris E. Vargas and The Museum of Trans Hirstory & Art (MOTHA) presents the fourth installment of his ongoing project Transhirstory in 99 Objects: Transvideo Store, a selection of contemporary short art films made by trans (or trans-adjacent) artists to examine a variety of ways trans stories and experiences have been represented on screen, both from outside and within their community. Accompanying these media works will be a visual art exhibition of work by artists selected through a dialogue-based research and sourcing process that touched a wide network of queer artists and writers with the intention to broaden curatorial authorship and directly serve the community whose historically significant cultural contributions have driven the arts and shaped contemporary thought. The exhibiting artists explore narratives of identity ranging from personal observation and portraiture to performative spaces of transformation and fantasy. BETWEEN. aims to foreground narratives that exist within, around, under and/or in opposition to the patriarchal hierarchy present in art institutions. The Museum of Transgender Hirstory & Art (MOTHA) and the ongoing exhibition “Trans Hirstory in 99 Objects” was founded as is a conceptual art project by artist Chris E. Vargas who performs as its Executive Director. The mission of MOTHA is to ask audiences to think critically about what a visual history of transgender life could and should look like, and if it’s even possible to compile a comprehensive history of an identity category for which the language is fairly new, sometimes contested, and still rapidly evolving. MOTHA’s physical status is “forever under construction” which allows the project to take multiple forms such as poster graphics, performances, and a virtual artist residency program. 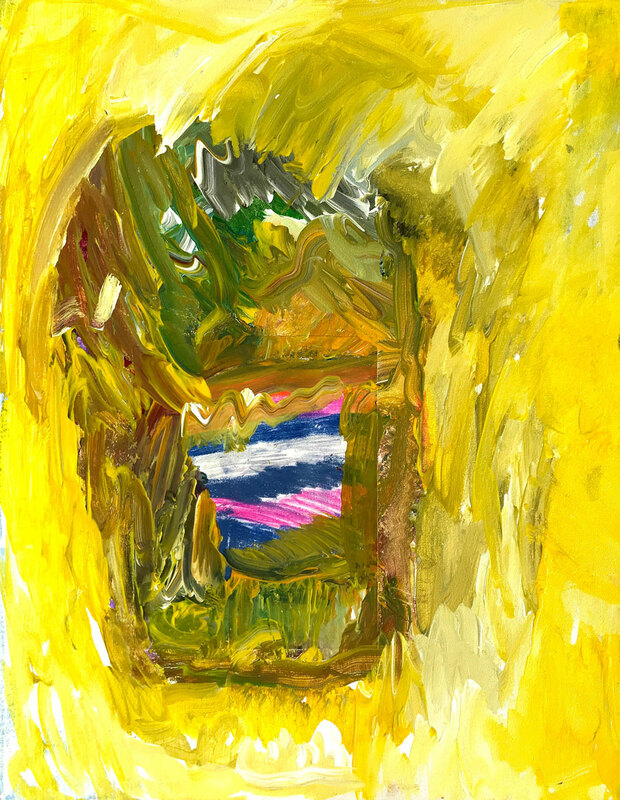 The ongoing exhibition series “Trans Hirstory in 99 Objects” is a critical engagement with queer and transgender archives and a creative reimagining of aspects of our histories that have been under-historicized or are unknowable. The number 99 refers to the difficulty of narrating a history of this marginalized identity and pays pointed homage to two of the project’s influences: the British Museum’s book History of the World in 100 Objects and the Smithsonian’s History of America in 101 Objects. Each iteration of “Trans Hirstory in 99 Objects” builds toward the accumulation of 99 objects and attempt to tell an unstable and expansive history of trans culture in the U.S. and North America. January 25, 2019, 5:45 – 8 p.m. Organized by a cosmic kin of four women, Deep Underground (DUG) was originally founded in 2015 as an open mic project dedicated to instilling a sense of safety and freedom within Portland’s underrecognized black and brown community. Their work began in a 100-year old NE Portland home, creating intentional space to empower unsung people. Their open-mic sessions often end with discourse or reflection on themes of the times such as: Revolution, Vices, Love, Addiction, Human/Civil Rights, and Death. By creating a space to talk about revolution, these women have started their own. 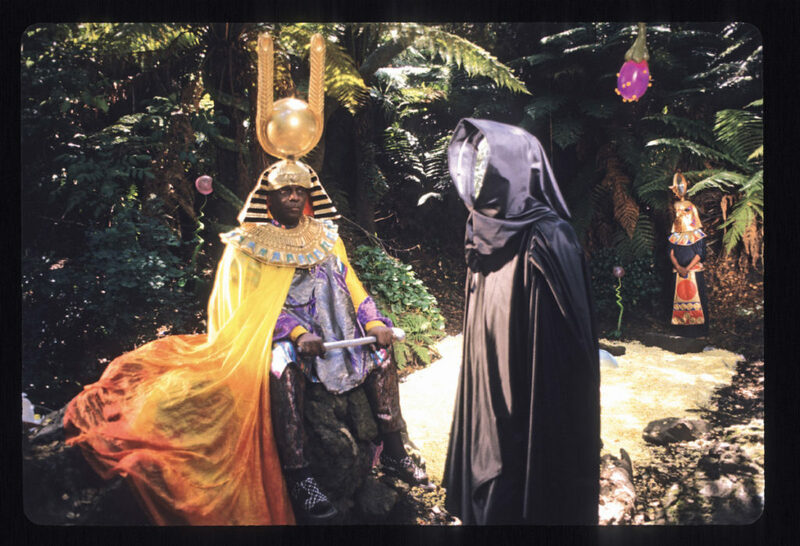 Since their genesis, DUG has gone on to throw large-scale events, in-depth youth programming, film screenings, concerts, and multimedia performances. The collective recently addressed city hall with the hopes of providing insight into the needs of black and brown artist communities. 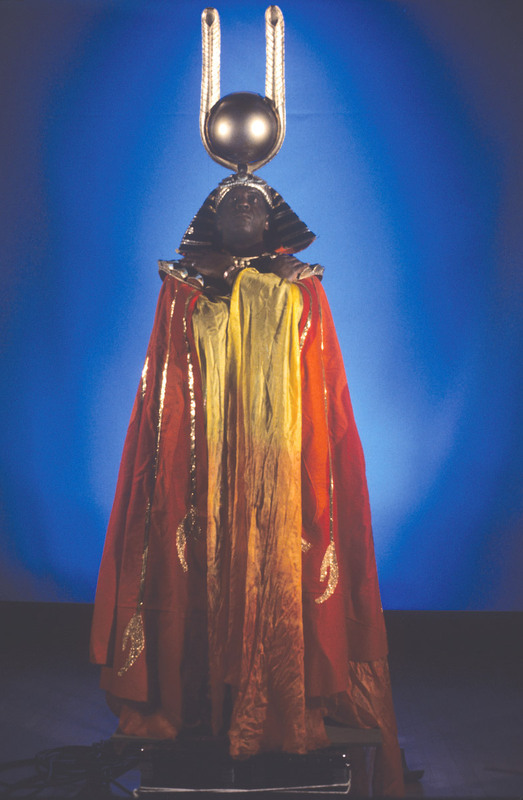 Their foundation is rooted in much of the same work Sun Ra was doing over 50 years ago; it is in that spirit they have been invited to lend their perspective and curatorial vision to the exhibition representing this afro-cosmic hero.